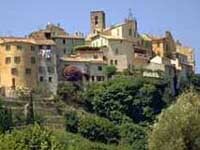 Need Help in the South of France? 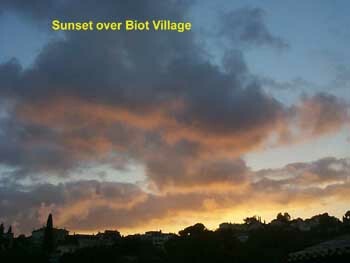 Biot is built on a headland that is typical of this type of hill top village (Mougins, St Paul de Vence, Cagnes old town etc) and overlooks the sea. 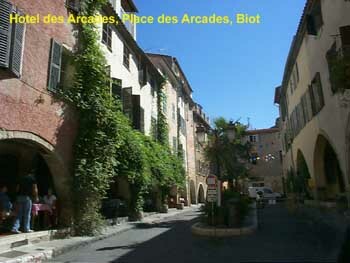 It is one of the art centres of the south of France.It is famous for its decorative pottery and glasswork. 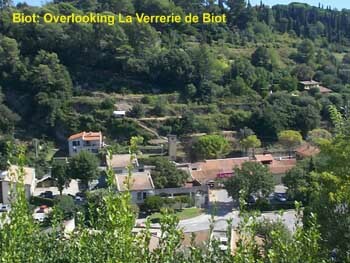 Apart from its beautiful location, a major reason to visit Biot is for the potteries and glassworks (Verreries) and the Fernand Léger Museum (Musée Fernand Léger). 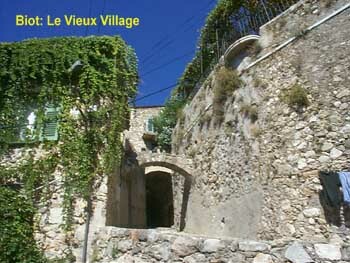 The artist Fernand Léger made the village his home and both it and its people had a profound effect on his work. 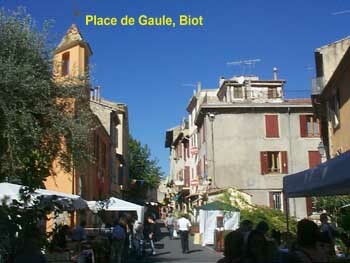 Unlike some of the neighbouring hill top villages, Biot has not been spoilt by too many art shops, estate agents and expensive restaurants. 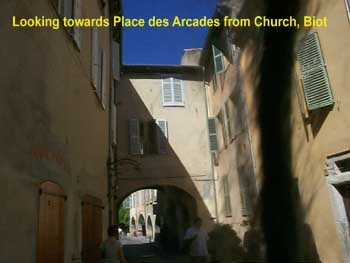 It still retains much of its cobbled streets.It is located in the département of Alpes-Maritimes (06) and the région of Provence-Alpes-Côte d'Azur. 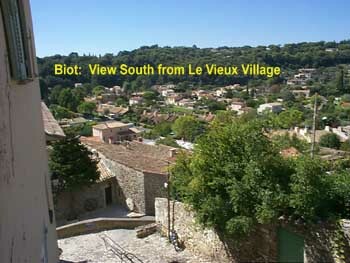 If you want to drive to the village there is plenty of car parking in the village, although this gets very full in July and August. 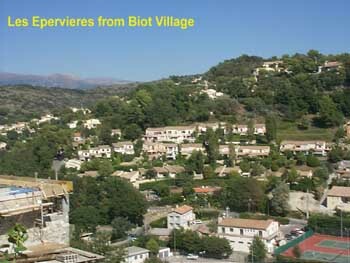 In the summer a Shuttle bus (Navette) is available and visitors from outside the area are encouraged to use the car parks outside the village and take the Shuttle in and out. 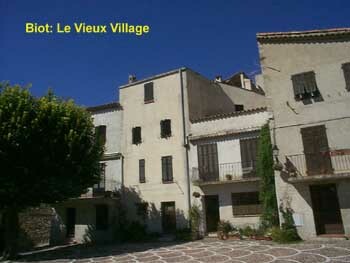 You can walk to the village in approximately 6 minutes from one of the two Navette car parks. 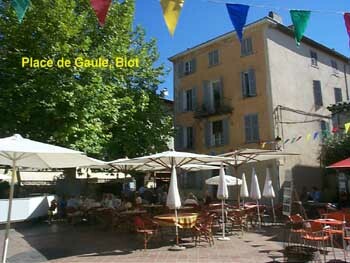 There are many excellent restaurants cafes and bars there, each with their own character. 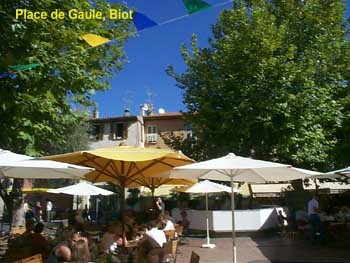 La Restaurant Hotel Galerie des Arcades, Restaurant le Migranier, Le Café de la Poste, Chez Odile, Café Brun and Creperie du Vieux are amongst the selection. 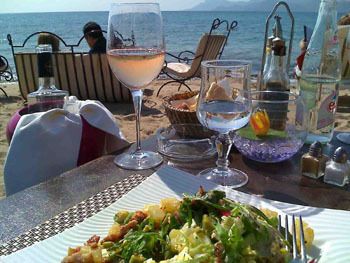 Apart from the museums and other historical attractions, by the sea close to Biot SNCF station is Le Parc de la Mer - Marineland Europe’s largest Marine theme park is approximately 4 km away (althouch technically in Antibes). 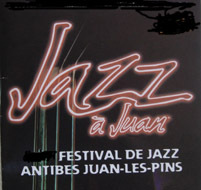 It was founded in 1970 by Roland de la Poype. 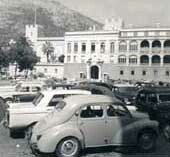 It is currently owned by a Spanish group Parques Reunidos. 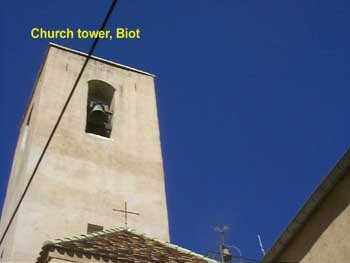 History of Glassmaking in Biot - 1956 - 2006: It is an entire family history: the creation of the Glassmaking in Biot and glass bubbles by Eloi Monod in 1956. In 1973 the Lechaczynski family started to promote the traditional means of manufacturer using the hand made manufacture process of glass with bubbles in and to promote their product. 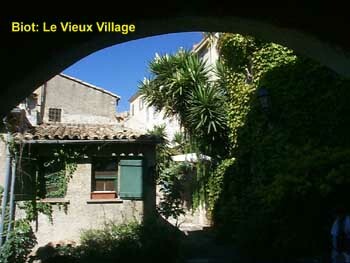 There has been fifty years of creative passion in the style of the glass and to promote the products made in the Verrerie de Biot on the edge of the hilltop village of Biot throughout the world. 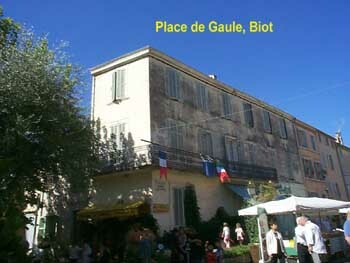 In addition to sixty retail outlets swelling their products in France, The Verrerie de Biot exports its creations ton Austria, Belgium, Canada, Japan, Sweden, Norway, Netherlands, Switzerland and the United States. 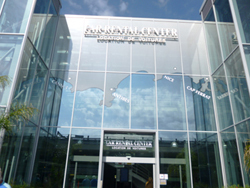 This is a very successful commercial venture with the specialized market of glass manufacture with bubbles in it and has become a major tourist attraction on the Côte d'Azur attracting over 700,000 visitors a year to the Verrerie and they have a turnover of four million euros. 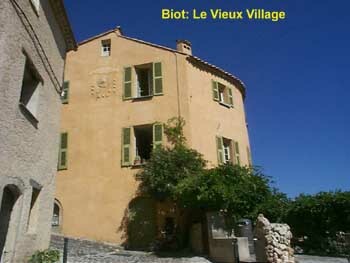 Since 2000 Jean and Danièle Lechaczynski have passed on the running of the business to their children who continue with the successful management of this family enterprise and as Anne Lechaczynski says "they are manufacturing the traditional products with the style of the day but also adding an innovation and a permanent modernism"
The Verrerie de Biot is located at Chemin des Combes - 06410 BIOT. 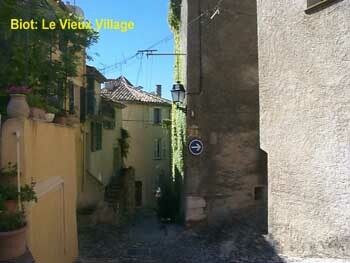 It is very well signposted with distinctive purple signs. 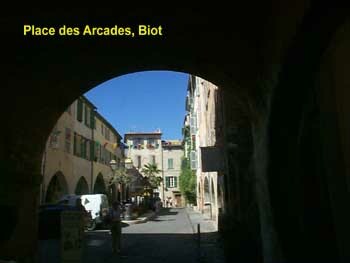 June 2011: La Verrerie de Biot is now charging for parking: On a visit there in June 2011, I discovered that they had introduced a car parking charghe. 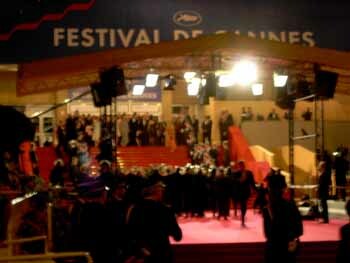 Barriers have been installed and you only get 10 minutes free parking and after that the costs are from 2 euros upwards. 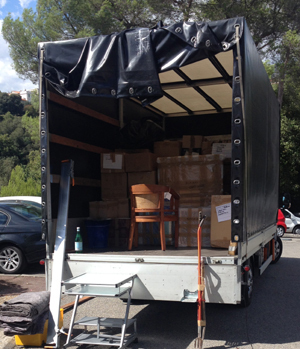 If you buy glas then this is refunded. 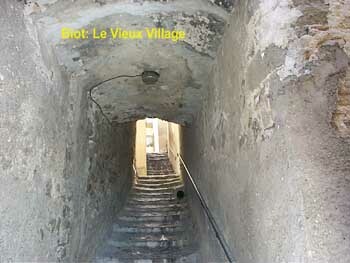 Personally I think this is a great shame as they get countless visitors and not everyone wants to buy glass there. No doubt they have researched the economic benefits for this decision, but it does seem rather strange. 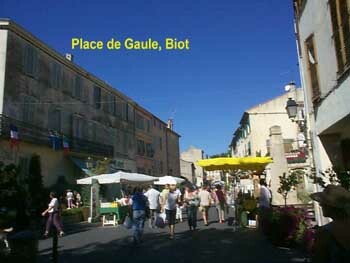 There would no advantage for the visitors to Biot to park there and then walk up to the village as there are FREE car parks for visitors much closer. It is possible to see glass blowing in under 10 minutes, but no time to go into the art exhibition or even browse in the showrooms. 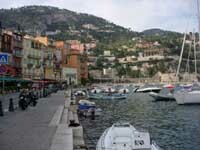 Villefranche sur Mer (pictured below), Monaco, Menton and Italy only a short drive or train journey away. 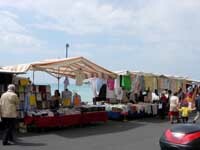 Across the border in Italy every Friday there is a large street market at Ventimiglia and a smaller one at the next town along the coast Bordighera on a Thursday. 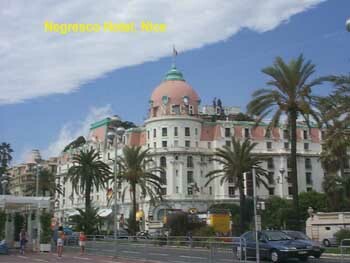 Both are set against the glorious back ground of the Mediterranean Sea. 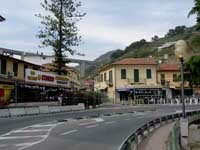 Bordighera has some excellent value restaurants on the sea front.